Fallon, NV - In the final results from Top Gun Raceway and the NHRA Lucas Oil Drag Racing Series, Doug Lambeck and Dennis Paz lead the list of winners that took home trophies and bragging rights. Fallon, NV - Mera Silvia ran right on her dial-in at 7.840 to take the win in Top Sportsman over Jeff Gillette in what was arguably the best race of the day. Gillette had the starting line advantage before Silvia came around for her second win of the year having won back at Firebird International Raceway in early March. Henderson, NV - Lamb proved that married life fits him well as a driver: he earned the event titles in both Competition Eliminator and Super Gas, posting the first “double” of his illustrious NHRA career. 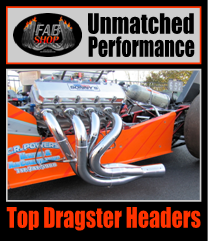 Fallon, NV - Justin Lamb raced to a rare double at the NHRA Lucas Oil Drag Racing Series this weekend at Top Gun Raceway winning in both the Comp Eliminator and the Super Gas categories. Lamb first faced off with Aaron Kinard, San Marcos, Calif., in Super Gas and recorded a perfect reaction time in his ’68 Camaro. 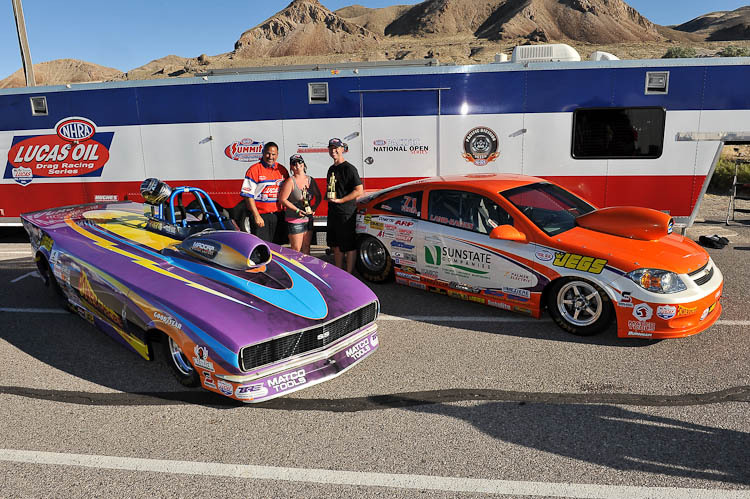 Fallon, NV - Justin Lamb also scored another win for the year in Comp Eliminator over the weekend. Lamb, Henderson, Nev., who appeared earlier in the year in the finals at Las Vegas Motor Speedway and won at Firebird International Raceway, defeated Doug Lambeck in the final round. Fallon, NV - Other winner’s this past weekend for the Lucas Oil Series at Top Gun Raceway were Mark Lelchook, Foresthill, Calif., in Stock; Larry Kinard, San Diego, Calif., in Super Comp; Val Torres Jr., Valinda, Calif., in Super Gas; Bill Gee, Silverton, Ore., in Super Street.